Two views of the 1921 Winnipeg Arenas. Above, the mid-July team. 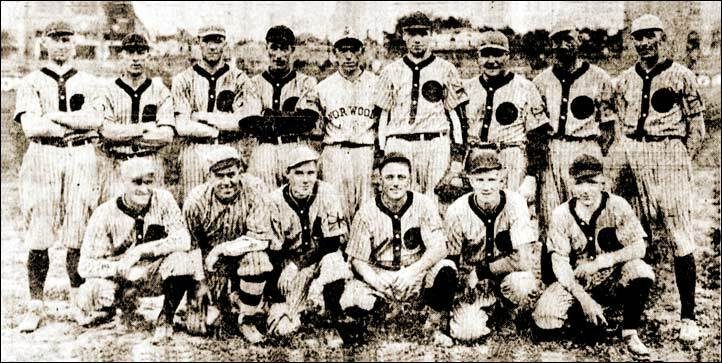 Back row - Wally Byron O/1B, Frank Healy OF, Gerald Mooney OF, Bill "Snake" Siddle 3B, Dave Miller P. Front row - George Siddel Mascot, Laurie Cuthbert SS, Bert Lloyd C, Bert Stainsby P, "Steamer" Maxwell MGR/OF, "Bunny" Warren 2B. 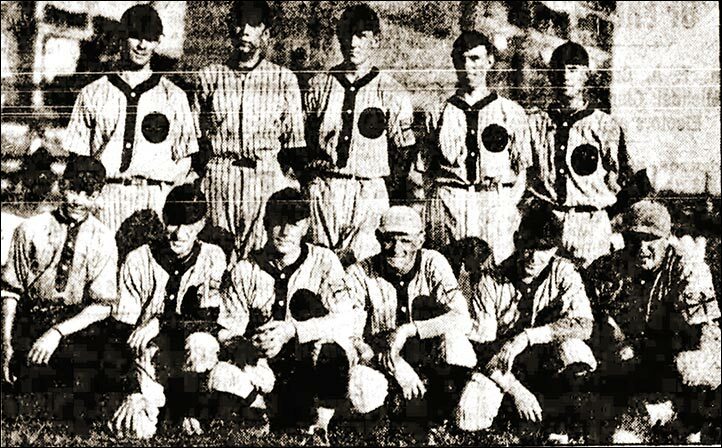 Standing (left to right) - Dave Miller UT, Herb May C, Greig Warren INF, Laurie Cuthbert 1B, Ness Wise OF, Art Frick OF, "Bunny" Warren 2B, "Slim" Borwick P, Bill Siddle 3B.